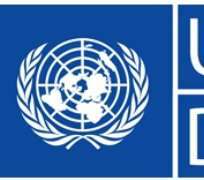 The United Nations Development Programme (UNDP) in partnership with Canada and Japan Governements has organized training programme for 450 unemployed youths on skills acquisition and trades in Yobe state. The UN Agency’s vocational training which is fhe first of its kind this year 2019, is expected to last for a period of eleven weeks. While flagging off the training programme yesterday in Damaturu, the Head of UNDP, Maiduguri office, Miss Mizuhu Yohoi said the beneficiaries are to undergo vocational training to become self-employed and productive in communities affected by Boko Haram insurgency. She said the nine year insurgency; has affected various communities in five councils, destroying many lives and property in the state. According to her, the training programme is being implemented under UNDP Integrated Stabilization Project (ISP) in the Northeast. “The 450 unemployed youths were selected in Yobe state; to undergo 11-week vocational training in skills, so that they become productive to society,” Yohoi said. She alao urged the beneficiaries to be “focused and listen” attentively during the training sessions and dates of graduation. “You have to work hard in order to succeed; by focusing on what you will learn during the training programme. "Practice what you have learned; because this training is not only for you; but for the benefits of your communities, the state, country and the entire globe," Yohoi said. She further noted that the UN development agency; will monitor and assess the performance of the beneficiaries at end of training. Executive Secretary, Yobe State Science and Technical Schools Board, Alhaji Musa Abdulsalam thanked the UNDP, Secretary to the State Government and Yobe State Emergency Management Agency (SEMA) for providing the training centres fornthe training programme for the youths to acquire skills and trades. He disclosed that 8 Government Science and Technical Colleges and 11 Business and Engineering Skills Training (BEST) Centres, were provided. Musa added that this is in addition to two other training centres to be established this year. He said engaging the training centres by UNDP have provided participants the opportunity to acquire more skills to reduce unemployment among women and youths.